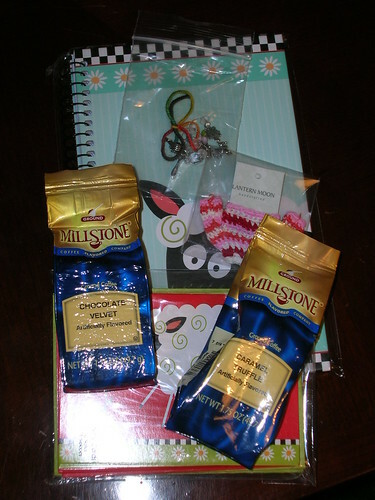 Adventures Of My Creativity: I got my Knitter's Treat Exchange Box!!! 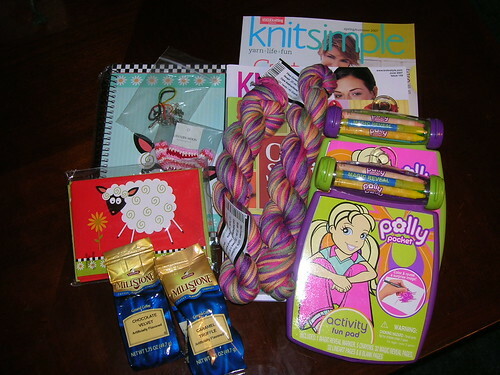 I got my Knitter's Treat Exchange Box!!! 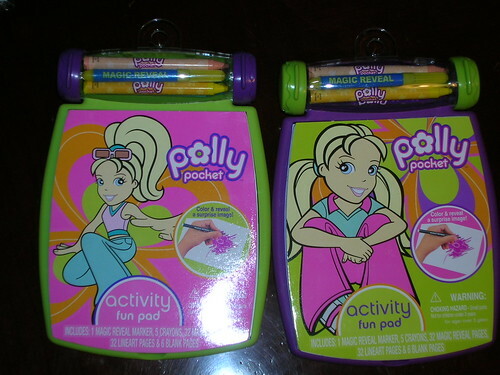 I had a fabulous buddy!! She really spoiled me!!! She writes Alabama Fiber Dreams and she sent to me lots of emails, and posted comments to my blog. Then she sent me a fabulous package. She went over and beyond the call of duty for sure. 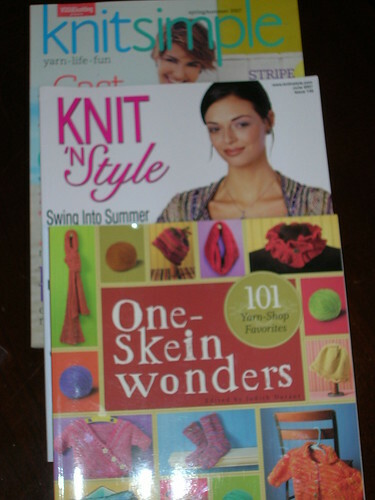 She sent me 2 publications, Knit Simple and Knit N Style, and a book called One Skein Wonders. I do have to admit a funny here. I bought the same two magazines for my KTE buddy so my buddy will be getting the same exact magazines, LOL. 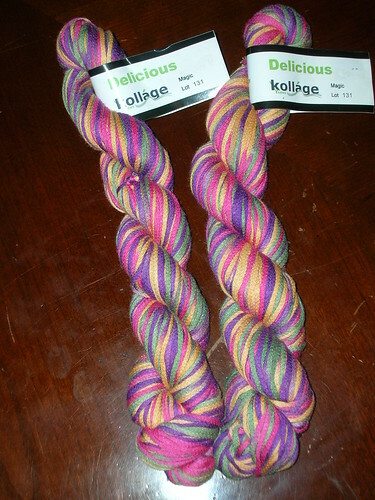 and last but not least, the yummy, yummy yarn called Delicious and it is. So soft made of 100% soybeans which i have never experienced before so this is a first and I am in heaven. I have rubbed it against my cheek several times already. it is from a local place near her called Kollage Yarns. I am definitely going to check them out further. Wow, you're lucky! That's a great package. Congratulations. Nice mail day for you. wow! what a fab gift! 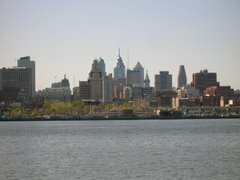 Thnaks for letting me kniw about the exchanges, I have signed up! My 1st passion lies with soapmaking but, I am expanding my adventures to include knitting, painting and tons of crafts with my kids. And the Knitter's Treat Exchange is on!